Summertime is finally here! Putting the happy times and sunshine aside- you know what that means? It means that the extreme heat weather and sun can pose a risk to your health, especially to elders. 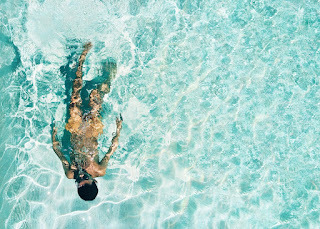 There are many different ways that summer heat can negatively affect our bodies and cause it to have reactions such as dizziness, headaches, fainting, dehydration and much more. With the soaring heat temperatures, our bodies naturally tend to lose more fluid through sweat and perspiration. This means that we have to keep our bodies hydrated even more than the usual and not wait until we are feeling thirsty to drink from a water bottle. We should be hydrating our body constantly. Drinking the amount of water your body needs throughout the day as well as eating foods that carry a lot of water, such as strawberries and watermelon, are great ways to keep yourself hydrated. 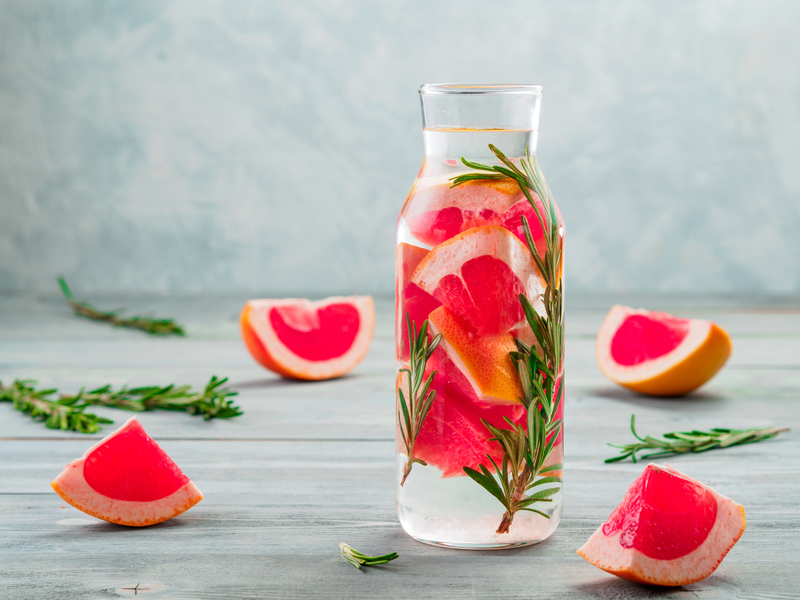 If you have a headache, dry mouth or start to feel constipated then these are good indicators that you probably need to step up your hydration game. Another good way to measure your hydration level is by monitoring the color of your urine - pale urine usually indicates a good level of hydration whereas darker urine typically means that your body needs more fluids. You can get your daily dose of Vitamin D and be safe about it too. Experts state that sunbathing and tanning can have a lot of benefits if it’s done moderately and safely. Too much exposure to the sunlight can not only put one at risk for cancer but also cause premature aging of the skin. Applying sunscreen is an excellent way to protect your skin against the sun’s ultraviolet radiation. 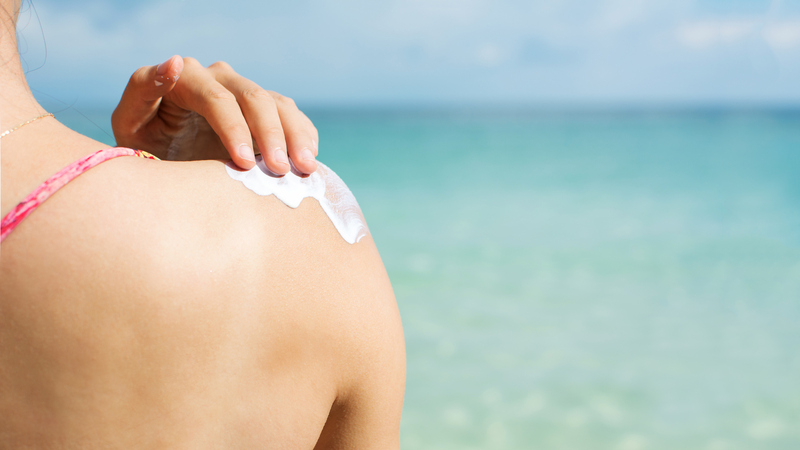 When it comes to using sunscreen lotion versus spray, experts tend to recommend the former. Even though both might contain the same ingredients, lotions tend to be slightly more hydrating and reduce the chance of streaks. According to OSHA, using an SPF (sun protection factor) of at least 15 blocks will block away 93% of UV rays. Also, keep in mind that you have to apply sun protector lotion at least 15-30 min prior to your outing. Tackle the summer heat safely by wearing the appropriate clothing and accessories. When choosing what tops to wear, experts suggest to wear clothing that is tightly-woven in order to block out as much light as possible. A good way to test this out is by sliding your hand behind the fabric and if you are able to see your hand through it then this means that the attire probably offers little to no protection. A very cliche yet must-have accessory for the summer is a pair of sunglasses. The sun’s UV rays can not only affect the skin but also your eyes. If you are going to wear sunglasses, make sure they contain protection for both UVA and UVB rays. Another great accessory to carry with you at all times is a hat. 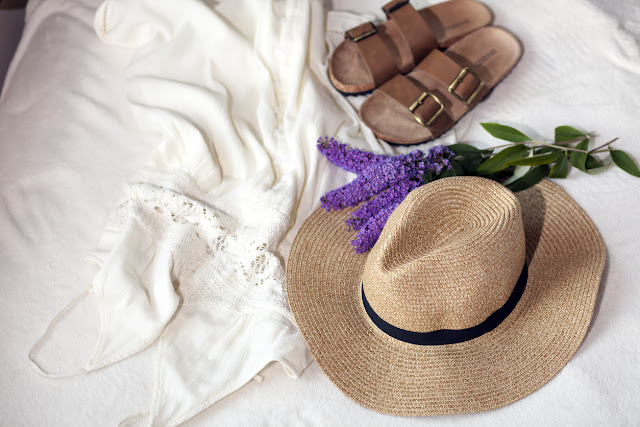 Instead of using a regular baseball cap, go for a wide-brim hat in order to provide more protection and care for your neck, ears, eyes, forehead, nose and scalp. “There’s a bug spray out there for everyone,” said dermatologist Marie Leger, M.D. Nothing is more inviting to mosquitos, insects and bugs than the summer time. Enjoy spending time outdoors this summer without having to worry about mosquitoes preying on you by applying bug spray or lotion. According to experts, most spray repellents tend to work better than lotion repellents because they can last longer and be easier to apply. In addition, with a single spray, you can probably protect yourself as well as the surrounding area around you. If you don’t like the chemicals that a generic brand of insect repellent might carry, there are always natural options you can try such as lemon eucalyptus oil, peppermint oil and more. Be cautious about outdoor time. Spending time outdoors during the summer is almost unavoidable. However, there are definitely times during the day that you could avoid being outside. Experts recommend to avoid spending time outdoors during the sun’s peak hours, which are between 10 a.m. and 3 p.m. standard time or 11 a.m. and 4 p.m. daylight savings time. Planning activities in the early morning or late afternoon can help reduce exposure to the sun’s UV light by almost 60%. A good way to determine if the sun’s UV light is going to be intense is by monitoring your local and daily UV index forecasts. We would love to hear from you! Please let us know in the comments below if you have other tips about how to stay safe from the scorching heat during the summer time.